Best Allergy & Asthma Air Cleaners: Stop Dust, Mites, Mold, Chemical & Pet Allergens Fast with Top-Rated Portable HEPA & Charcoal Filter Air Purifiers at Discount Sales Prices with Free Shipping! Get The Relief You Need with a Top-Rated Portable Allergy & Asthma Air Cleaner. We Sell The Best Portable Air Purifiers with Quality HEPA, HEGA Carbon & Natural Charcoal Filter Scrubber Systems That Stop Over 99% of Dust, Dust Mites, Mold, Pet & Chemical Allergens in Homes, Rooms & Offices, All At Cheap Discount Online Sales Prices with Free Shipping! If you suffer from allergies or asthma, it is vitally important to keep your indoor air clean at all times to stop attacks and allow you to enjoy your home and pets. This means it is best allergy and asthma sufferers to keep the majority of airborne pollutants commonly found in homes and offices continuously removed from the air in your rooms, offices and storage areas. Unfortunately, even the best HVAC air conditioner filters (even those with natural charcoal) can’t stop the dust, mold and other pollutants in the duct work because the pore size is too large (allows pollutants to go through), not enough carbon to do anything, and the filter is at the air conditioner, not in the vents. Dust, dust mites (one of the strongest allergens) and pet dander are some of the most common particle-type allergens found in homes and offices that cause allergy and asthma attacks. However, in most homes and offices, there are also airborne chemical allergens. These chemicals, such as formaldehyde, benzene and others from building materials, cleaners, paints, solvents, copiers & other machines slow release into the air and constantly pollute the air you breathe. These are the reasons why, for consistent allergy or asthma relief, it is best to buy one or more top-rated portable allergy air purifiers with true HEPA and HEGA or other high quality activated natural charcoal filter scrubbers that remove over 99% the particles and chemicals in the room that you’re in. Top-quality portable allergy and asthma air scrubber systems are also best for relief because they stop the airborne allergens in the air (and what blows out of the vents and ductwork every time the AC turns on). Top-rated allergy and asthma air purifiers for sale at the best online stores come with true HEPA and substantial charcoal filters to remove chemicals and stop over 99% of dust, dust mites and other particles. And the carbon filters will have anywhere from 2-20 pounds or more of activated carbon, far better than a cheap carbon foam sheet that doesn’t absorb very much. Some allergy air filtration units will even come with ‘super-HEPA’ filters that remove particles as small as 0.1 microns (such as mold spores, bacteria, dust mite feces, etc), which is better than normal HEPA filters that stop at 0.3 microns. This helps to remove the smallest of particles that you can’t see and can provide even more relief for allergy and asthma sufferers. One advantage of buying a portable allergy air purifier is that you can enjoy clean air in any room of your home. Portable allergy air scrubbers are also your best choice for clean air if you rent your home and wouldn’t be able install a whole house system. Some top-rated allergy air cleaners for sale online include a special HEGA carbon filter with natural coconut shell charcoal that removes even more chemical and odor allergens than normal activated carbon, providing allergy and asthma sufferers with considerably more relief from sneaky chemical fumes in homes and offices. So, buying one or more quality portable air purification system that effectively removes airborne particle and chemical pollutants can be your easiest and best way to keep the air clean in your home or office and get relief from your allergy or asthma symptoms. When buying an air cleaner for allergies or asthma relief, there are a few important things to consider. First, make sure the air scrubber is rated for the size of your room or larger. Even if a purifier has top-rated HEPA and charcoal filters, one that is too small won’t be able to cycle the air fast enough to remove the pollutants before you can breathe them. Ideally, want a unit that is strong enough to completely cycle and clean all of the air in a room 3 or more times per hour. In general, it’s best to spend the extra 10-15% and get a quality allergy & asthma air cleaner that is sized for the room you’re in. Keep in mind that you may need to buy more than one portable air cleaner for sale to stop pollutants in different areas of the home or for your office. Otherwise, the air may be clean in one room, but you can still have an attack in another room or at your office because the air is not clean. If you do own your home, or your landlord will allow, you may want to consider buying a whole house air scrubber system to use along with portable air purifiers for maximum allergy and asthma relief. For severe allergies or asthma sufferers, we recommend choosing air cleaners with 0.1 micron HEPA to stop the smallest dust mite particles and HEGA or natural charcoal filters--and be sure to look for at least a 5-year warranty. 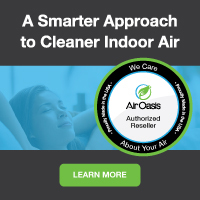 At Air Purifiers and Cleaners.com is your best place to buy your portable allergy or asthma room air purifier, whole house air scrubber systems, filters, and many other indoor air quality machines and products. We sell only the best top-rated HEPA and activated natural charcoal air cleaners designed for allergy and asthma sufferers with long-lasting filters, great warranties, and the cheapest discount prices you’ll find for sale online. We also provide clear, easy to understand information to help you choose the air purifier that stops the dust, dust mites, mold, chemicals and other allergens in your home and provides you with the relief you need. And due to our extremely low overhead, we also offer free ground shipping, plus many specials and deals throughout the year to help you save! Got questions about which HEPA air scrubber to buy? Our team of allergy and asthma air filtration experts are standing by to answer any of your questions. Call us today toll-free at 1-800-701-2513. We’re here to help!